Since my girls were small, we’ve always shared the things we’re thankful for each year on Thanksgiving. Being thankful every day is important, but it writing down your blessings is a great tradition that you can do year after year. 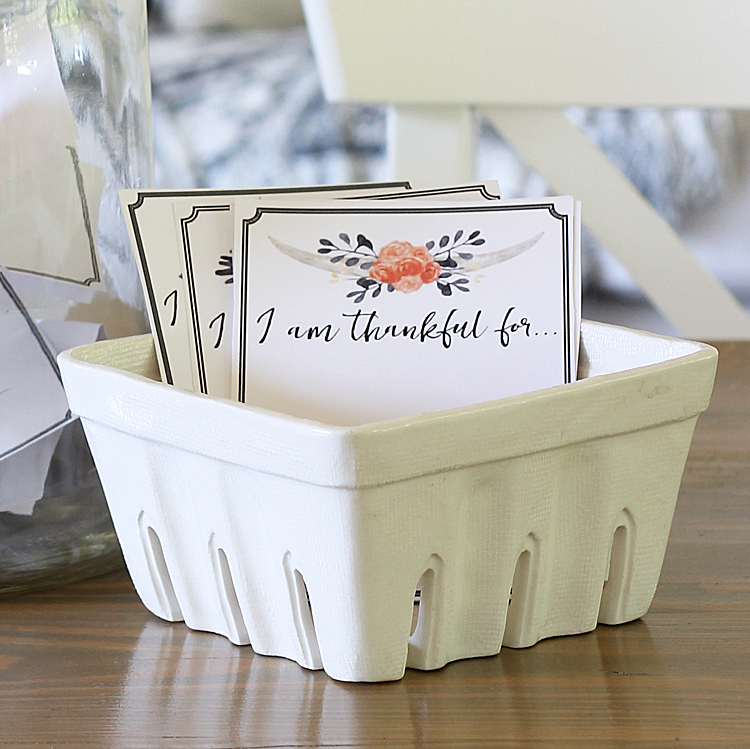 So this year we’re upping the ante with these pretty printable “I am thankful for” cards. 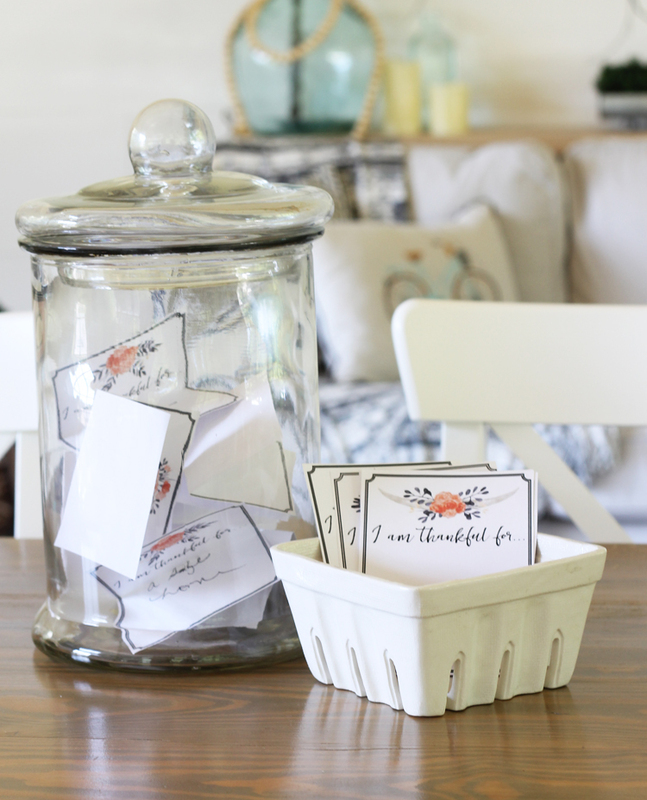 I like to print up a few sheets (then let the kiddos cut them out – because life is too fun to be perfect) and throw them in a basket with an ink pen or two and put it beside a big old jar so you can toss them in after you’ve jotted down your blessing. I like this alternative, because not everyone likes to talk in a crowd of people – especially little kids who might be a bit shy in a house full of relatives. 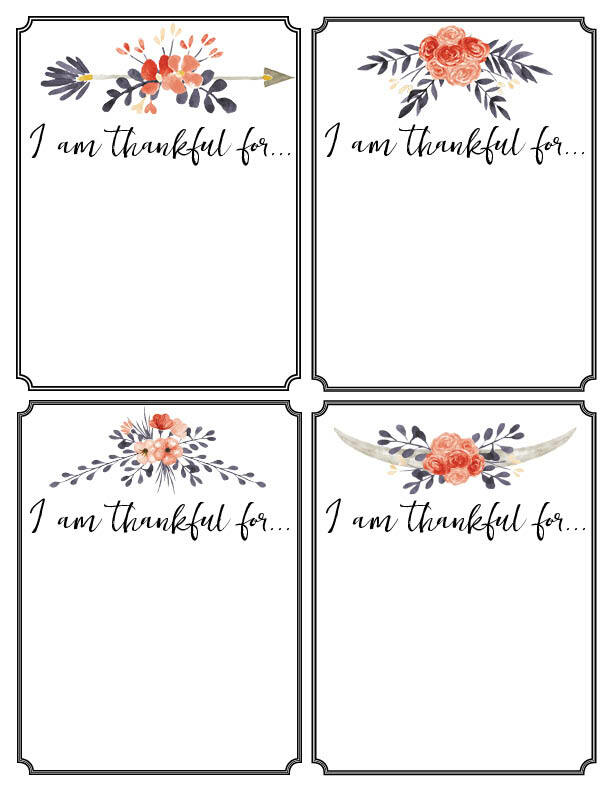 Because I love sharing, you can download this free printable by clicking HERE. I’m not the only one celebrating Fall in Jars this week! Be sure to stop by and see my friends and check out what they’ve created for a fun week full of fall ideas – in jars! Thank you for the printable! I really appreciate you sharing your talents in this way. It is my pleasure Erin, you are so sweet!